Which players on the back line will need to make a difference for their clubs this season? After starting our 2019 USL League One season preview by looking at the goalkeepers that could make an impact in the upcoming campaign, we now turn our attention to the back lines that will be charged with protecting those shot-stoppers. Western Athletic Conference Defensive Player of the Year twice during his time at Seattle University, Kyle Bjornethun has continued to make an impact at the back early in his professional career. As a rookie with USL Championship side the Portland Timbers 2 in 2017, Bjornethun led the team with 49 interceptions and ranked second with 72 clearances in 26 appearances. The 24-year-old full back bettered those statistics last season with Toronto FC II, making 51 interceptions, 82 clearances and winning 115 duels in the same number of games. FC Tucson Head Coach Darren Sawatzky will hope Bjornethun can continue to build on those performances and help his team to the postseason. The first signing in Greenville Triumph SC history, Tyler Polak brings vast USL Championship experience to the expansion club. The 26-year-old will reunite with Greenville Head Coach John Harkes, who also brought him to FC Cincinnati ahead of its inaugural season in 2016. Polak played 51 games over two seasons for FCC and won an impressive 75 percent of his tackles in the 2017 season. 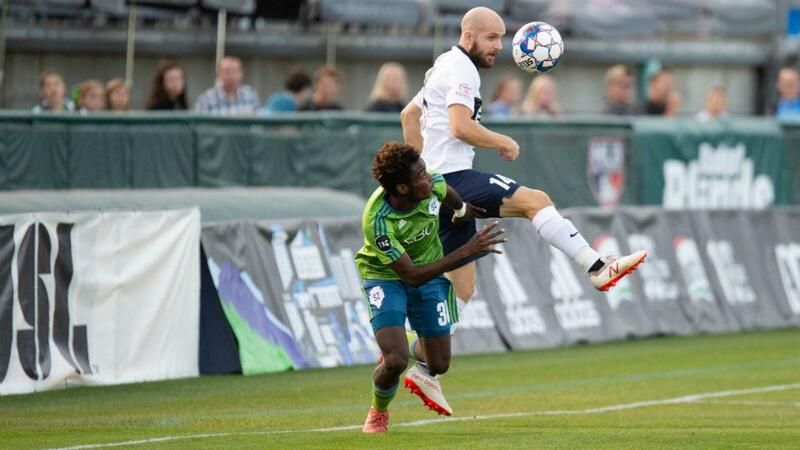 That level of success would be very-much welcomed in Greenville as the club takes aim at a postseason berth – something Polak helped Saint Louis FC achieve last year after joining the club midway through the campaign. A 2019 MLS SuperDraft pick of the Chicago Fire, Grant Stoneman will look to provide a spark in his first professional season with Lansing Ignite FC. The 6-foot-1 defender excelled collegiately at the University of Loyola – Chicago, scoring seven goals and adding an assist in 53 career appearances for the Ramblers. Stoneman earned First Team All-Missouri Valley Conference honors on three occasions during his collegiate career and was named the conference’s Defensive Player of the Year in 2018 after a standout senior campaign. Stoneman is also returning to familiar territory in Lansing, where he previously featured for Lansing United in USL League Two, which will make him a familiar face to at least some of the new professional club’s fans. Another former Toronto FC II defender with a new home for the 2019 season, Lars Eckenrode joins South Georgia Tormenta FC after two seasons up North. The 23-year-old, who played collegiately at the University of Michigan, recorded 61 clearances and 21 interceptions in 11 appearances for TFC II in 2018. Eckenrode will look to fit in with a back line that built up some chemistry in USL League Two and returns fellow defenders Conner Antley, Michael Mecham, Joshua Phelps and Jerry Saint-Vil. Franco Ramos joins the Toronto FC II back line for the 2019 season from legendary club Boca Juniors in his native Argentina. The 21-year-old center back served as team captain of the Boca academy and reserve teams before making the move to North America. 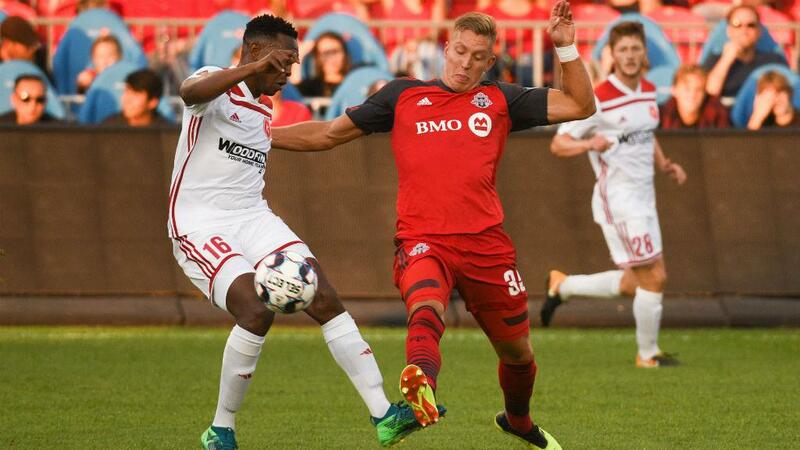 Ramos, who had a trial with TFC II’s MLS affiliate Toronto FC last fall, will look to slot into the starting lineup for Head Coach Michael Rabasca’s squad, which saw fellow center backs Robert Boskovic (Ottawa Fury FC) and Rocco Romeo (HB Køge) sent out on loan by the club.